ONE OWNER ** Sold and serviced here since brand new! ONLY 30k Original Mileages ** Adult Owned ** This one must be seen to truly appreciate it's immaculate condition. 2006 Mazda Miata Grand Touring ** Manual Transmission ** Leather Seats ** Suspension Package ** Premium Package ** Vehicle priced accordingly based off ownership, condition and market. 'TIS THE SEASON!! McDonald Mazda South at 6100 South Broadway in Littleton has just completed construction on the Nation's flagship Revolution dealership, come experience the future of Mazda! We are a leader in Certified Pre-Owned Mazda vehicles, buy from the best! As always our Market Based Pricing ensures you are getting the best price possible on every pre-owned vehicle! McDonald Mazda South specializes in the very best pre-owned vehicles of every make. All of our pre-owned vehicles are fully inspected and reconditioned to our high standard. McDonald Automotive is a family owned dealer group, dedicated to community involvement and ensuring that we provide the very best quality vehicles for over 50 years. Please call us today at 303-376-4732 for more information. CARFAX One-Owner. 24 service records reported on CARFAX! Crystal White Pearl Mica 2011 Mazda CX-9 Grand Touring * All Wheel Drive * 6-Speed Sport Automatic * 3.7L V6 * Moonroof & Bose Audio w/SIRIUS Package * Navigation System * Power Sliding Glass Moonroof w/Interior Sunshade * SIRIUS Satellite Radio * Blind Spot Sensor * Heated Front Seats * 3rd Row Seating and much more! Mechanically inspected and reconditioned! *** McDonald Mazda South at 6100 South Broadway in Littleton has recently completed construction on the Nation's flagship Revolution dealership, come experience the unequaled luxury for yourself. As always our Market Based Pricing ensures you will always get the best price possible on every pre-owned vehicle! All of our pre-owned vehicles are fully inspected and reconditioned to our high standard. McDonald Automotive is a family owned dealer group for over 50 years and passionately dedicated to community involvement. To us doing right comes naturally!. Please call us today at 303-376-4732 to schedule your test drive. ONE OWNER ** Clean Carfax **All Wheel Drive ** 2016 Mazda CX-5 Sport, Automatic SKYACTIV® 2.5L 4-Cylinder DOHC 16V--Crystal White Pearl Mica w/ Black interior ** Mechanically inspected and fully reconditioned! *** McDonald Mazda South at 6100 South Broadway in Littleton has recently completed construction on the Nation's flagship Revolution dealership, come experience the unequaled luxury for yourself. As always our Market Based Pricing ensures you will always get the best price possible on every pre-owned vehicle! All of our pre-owned vehicles are fully inspected and reconditioned to our high standard. McDonald Automotive is a family owned dealer group for over 50 years and passionately dedicated to community involvement. To us doing right comes naturally!. Please call us today at 303-376-4732 to schedule your test drive. 1 -- OWNER ** 2016 Mazda CX-5 Touring ** All Wheel Drive ** Full mechanical inspection and reconditioning completed -- will not last! Great affordable SUV with affordable low monthly payments! Family Owned! Our vehicles are all reconditioned to the highest extent, buy with confidence! McDonald Mazda West specializes in Certified Pre-Owned Mazda vehicles and the very best Pre-Owned vehicles of every make. All of our Pre-Owned vehicles are fully inspected and reconditioned to our high standard. McDonald Automotive is a family owned dealer group, dedicated to community involvement and ensuring that we provide the very best quality vehicles for over 50 years. Please call us today at 303-795-1100 for more information. MAZDA CERTIFIED ** CARFAX One-Owner. Crystal White Pearl Mica 2016 Mazda CX-5 Sport * All Wheel Drive * 6-Speed Automatic * SKYACTIV® 2.5L 4-Cylinder * Radio: AM/FM/CD/HD Modular Audio System * Rear-View Camera * *** McDonald Mazda has Colorado's largest selection of Certified Pre-owned Mazda's! *** Mazda Certified Pre-Owned Details: * Limited Warranty: 12 Month/12,000 Mile (whichever comes first) after new car warranty expires or from certified purchase date * 160 Point Inspection * Warranty Deductible: $0 * Vehicle History * Powertrain Limited Warranty: 84 Month/100,000 Mile (whichever comes first) from original in-service date * Transferable Warranty * Roadside Assistance * Includes Autocheck Vehicle History Report with 3 Year Buyback Protection *** McDonald Mazda South at 6100 South Broadway in Littleton has recently completed construction on the Nation's flagship Revolution dealership, come experience the unequaled luxury for yourself. As always our Market Based Pricing ensures you will always get the best price possible on every pre-owned vehicle! All of our pre-owned vehicles are fully inspected and reconditioned to our high standard. McDonald Automotive is a family owned dealer group for over 50 years and passionately dedicated to community involvement. To us doing right comes naturally!. Please call us today at 303-376-4732 to schedule your test drive. Clean CARFAX * One Owner * Soul Red Metallic 2018 Mazda Mazda3 Sport * Sedan * Preferred Equipment Package * 6-Speed Automatic SKYACTIV®-G 2.0L * 4-Cylinder DOHC 16V * Rear View Camera * Advanced Blind Spot Monitoring * *** McDonald Mazda has Colorado's largest selection of Certified Pre-owned Mazda's! *** Mazda Certified Pre-Owned Details: * Limited Warranty: 12 Month/12,000 Mile (whichever comes first) after new car warranty expires or from certified purchase date * 160 Point Inspection * Warranty Deductible: $0 * Vehicle History * Powertrain Limited Warranty: 84 Month/100,000 Mile (whichever comes first) from original in-service date * Transferable Warranty * Roadside Assistance * Includes Autocheck Vehicle History Report with 3 Year Buyback Protection *** McDonald Mazda South at 6100 South Broadway in Littleton has recently completed construction on the Nation's flagship Revolution dealership, come experience the unequaled luxury for yourself. As always our Market Based Pricing ensures you will always get the best price possible on every pre-owned vehicle! All of our pre-owned vehicles are fully inspected and reconditioned to our high standard. McDonald Automotive is a family owned dealer group for over 50 years and passionately dedicated to community involvement. To us doing right comes naturally!. Please call us today at 303-376-4732 to schedule your test drive. McDonald Mazda West has Colorado's largest selection of Certified Pre-owned Mazda's! CARFAX One-Owner. 2016 Mazda CX-3 Sport * Only 29K Miles * SKYACTIV®-G 2.0L 4-Cylinder DOHC 16V * All Wheel Drive * Pandora Radio * Cloth Seats * Rearview Camera * Mechanically inspected and fully reconditioned! Certified and backed by Mazda for peace of mind - Call today! Mazda Certified Pre-Owned Details: * Transferable Warranty * Vehicle History * 160 Point Inspection * Warranty Deductible: $0 * Limited Warranty: 12 Month/12,000 Mile (whichever comes first) after new car warranty expires or from certified purchase date * Includes Autocheck Vehicle History Report with 3 Year Buyback Protection * Powertrain Limited Warranty: 84 Month/100,000 Mile (whichever comes first) from original in-service date * Roadside Assistance McDonald Mazda West specializes in Certified Pre-Owned Mazda vehicles and the very best Pre-Owned vehicles of every make. All of our Pre-Owned vehicles are fully inspected and reconditioned to our high standard. McDonald Automotive is a family owned dealer group, dedicated to community involvement and ensuring that we provide the very best quality vehicles for over 50 years. Please call us today at 303-795-1100 for more information. McDonald Mazda West has Colorado's largest selection of Certified Pre-owned Mazda's! Clean Carfax One Owner!! 2016 Mazda3 Hatchback! ** Navigation w/ Mazda Infotainment System * Leather Seats * Power Sunroof * Certified and backed by Mazda for your peace of mind! Call now! McDonald Mazda West specializes in Certified Pre-Owned Mazda vehicles and the very best Pre-Owned vehicles of every make. All of our Pre-Owned vehicles are fully inspected and reconditioned to our high standard. McDonald Automotive is a family owned dealer group, dedicated to community involvement and ensuring that we provide the very best quality vehicles for over 50 years. Please call us today at 303-795-1100 for more information. PREMIUM PACKAGE!! *** ALL WHEEL DRIVE ** McDonald Mazda West has Colorado's largest selection of Certified Pre-owned Mazda's! CARFAX One-Owner. 2016 Mazda CX-3 Touring * SKYACTIV®-G 2.0L 4-Cylinder DOHC 16V * BOSE 7-Speaker Premium Sound System * Cargo Cover * Power Glass Moonroof * SiriusXM Satellite Radio and much more! Mechanically inspected and fully reconditioned - Call today! Mazda Certified Pre-Owned Details: * Transferable Warranty * Warranty Deductible: $0 * Powertrain Limited Warranty: 84 Month/100,000 Mile (whichever comes first) from original in-service date * Includes Autocheck Vehicle History Report with 3 Year Buyback Protection * Limited Warranty: 12 Month/12,000 Mile (whichever comes first) after new car warranty expires or from certified purchase date * 160 Point Inspection * Roadside Assistance * Vehicle History McDonald Mazda West specializes in Certified Pre-Owned Mazda vehicles and the very best Pre-Owned vehicles of every make. All of our Pre-Owned vehicles are fully inspected and reconditioned to our high standard. McDonald Automotive is a family owned dealer group, dedicated to community involvement and ensuring that we provide the very best quality vehicles for over 50 years. Please call us today at 303-795-1100 for more information. NEW TIRES!! McDonald Mazda West has Colorado's largest selection of Certified Pre-owned Mazda's! Clean Carfax One Owner!! 2017 Mazda3 Grand Touring Hatchback!! Well equipped and affordable! *** SKYACTIV Technology * Back up Camera * Bluetooth * Heated Leather Seats * Bose Audio * Power Sunroof * Blind Spot Warning * and much more!! This hard to find Mazda3 won't last!! Call now! Mazda Certified Pre-Owned Details: * Vehicle History * Powertrain Limited Warranty: 84 Month/100,000 Mile (whichever comes first) from original in-service date * Limited Warranty: 12 Month/12,000 Mile (whichever comes first) after new car warranty expires or from certified purchase date * 160 Point Inspection * Warranty Deductible: $0 * Roadside Assistance * Transferable Warranty * Includes Autocheck Vehicle History Report with 3 Year Buyback Protection McDonald Mazda West specializes in Certified Pre-Owned Mazda vehicles and the very best Pre-Owned vehicles of every make. All of our Pre-Owned vehicles are fully inspected and reconditioned to our high standard. McDonald Automotive is a family owned dealer group, dedicated to community involvement and ensuring that we provide the very best quality vehicles for over 50 years. Please call us today at 303-795-1100 for more information. McDonald Mazda West has Colorado's largest selection of Certified Pre-owned Mazda's! CARFAX One-Owner. Clean Carfax One Owner! 2016 Mazda CX-3 Touring! ** PREMIUM PACKAGE *** Mazda Infotainment System w/ Bose 7 Speaker Premium Audio * Power Sunroof * All Wheel Drive * Heated Seats *** Certified and backed by Mazda for your peace of mind!! Call now! 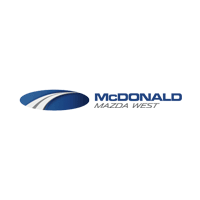 McDonald Mazda West specializes in Certified Pre-Owned Mazda vehicles and the very best Pre-Owned vehicles of every make. All of our Pre-Owned vehicles are fully inspected and reconditioned to our high standard. McDonald Automotive is a family owned dealer group, dedicated to community involvement and ensuring that we provide the very best quality vehicles for over 50 years. Please call us today at 303-795-1100 for more information. UNBELIEVABLE DEAL!!! Because this unit has gotten a little aged in our inventory we are slashing the price!! Rather than selling this great vehicle to a wholesale dealer, we would rather offer you an unbelievable Price!!! Act Quickly!! Clean CARFAX One-Owner ** 2016 Mazda CX-5 Touring Certified. SKYACTIV® 2.5L 4-Cylinder DOHC 16V * 6-Speed Automatic * All Wheel Drive * Blind spot sensor: warning * Exterior Parking Camera Rear * Heated front seats * * Navigation System * Power driver seat. Mechanically inspected and reconditioned - Call today! Mazda Certified Pre-Owned Details: * 160 Point Inspection * Vehicle History * Powertrain Limited Warranty: 84 Month/100,000 Mile (whichever comes first) from original in-service date * Limited Warranty: 12 Month/12,000 Mile (whichever comes first) after new car warranty expires or from certified purchase date * Includes Autocheck Vehicle History Report with 3 Year Buyback Protection * Roadside Assistance * Warranty Deductible: $0 * Transferable Warranty McDonald Mazda West specializes in Certified Pre-Owned Mazda vehicles and the very best Pre-Owned vehicles of every make. All of our Pre-Owned vehicles are fully inspected and reconditioned to our high standard. McDonald Automotive is a family owned dealer group, dedicated to community involvement and ensuring that we provide the very best quality vehicles for over 50 years. Please call us today at 303-795-1100 for more information. MAZDA CERTIFIED ** Clean Carfax One Owner! RARE HATCHBACK MODEL ** Only 12K Miles! ***PREMIUM EQUIPMENT PACKAGE ** Auto-Dimming Interior Mirror w/HomeLink, Bi-LED Headlights w/Auto Leveling, Heated Steering Wheel, LED Combination Taillights, LED Daytime Running Lights, Mazda Navigation System, Pivoting Adaptive Front-Lighting System,Bose Premium Audio, Heads up Display. -Certified and backed by Mazda so you can purchase with confidence!! Mazda Certified Pre-Owned Details: * Warranty Deductible: $0 * Transferable Warranty * 160 Point Inspection * Powertrain Limited Warranty: 84 Month/100,000 Mile (whichever comes first) from original in-service date * Roadside Assistance * Includes Autocheck Vehicle History Report with 3 Year Buyback Protection * Limited Warranty: 12 Month/12,000 Mile (whichever comes first) after new car warranty expires or from certified purchase date * Vehicle History McDonald Mazda South at 6100 South Broadway in Littleton has just completed construction on the Nation's flagship Revolution dealership, come experience the future of Mazda! We are a leader in Certified Pre-Owned Mazda vehicles, buy from the best! As always our Market Based Pricing ensures you are getting the best price possible on every pre-owned vehicle! McDonald Mazda South specializes in the very best pre-owned vehicles of every make. All of our pre-owned vehicles are fully inspected and reconditioned to our high standard. McDonald Automotive is a family owned dealer group, dedicated to community involvement and ensuring that we provide the very best quality vehicles for over 50 years. Please call us today at 303-376-4732 for more information. If you’re in the market for a Mazda but don’t want to pay for newer models at McDonald Mazda West, you’re in luck. The pre-owned Mazda inventory at our Mazda dealership near Denver, CO, is loaded with all your favorite Mazda models at great used-car prices, so come get behind the wheel of a used Mazda6 sedan or pre-owned Mazda CX-9 SUV by scheduling a test-drive with us. We also offer a variety of pre-owned models from other manufacturers, so you can always find what you’re looking for if you’re shopping for a used car, truck or SUV.